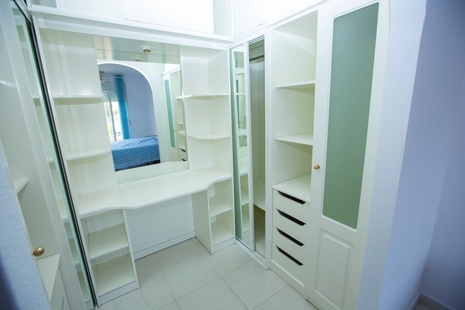 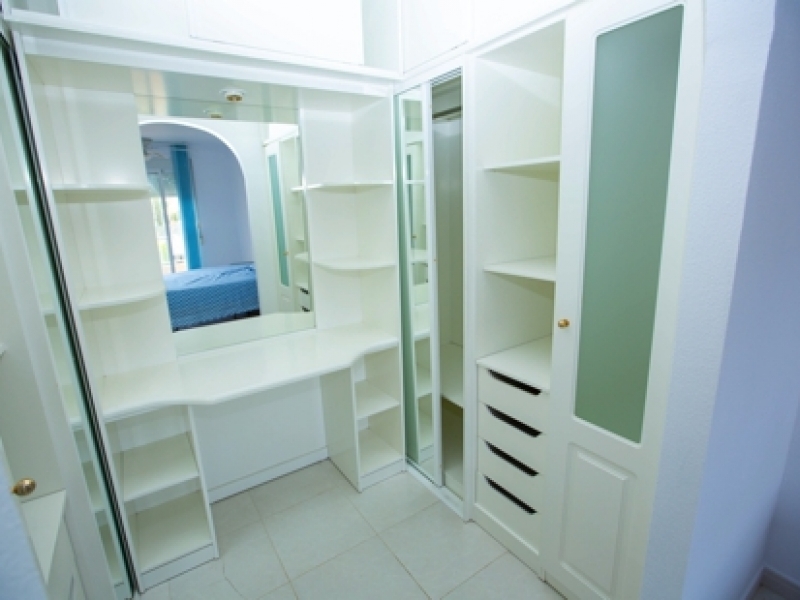 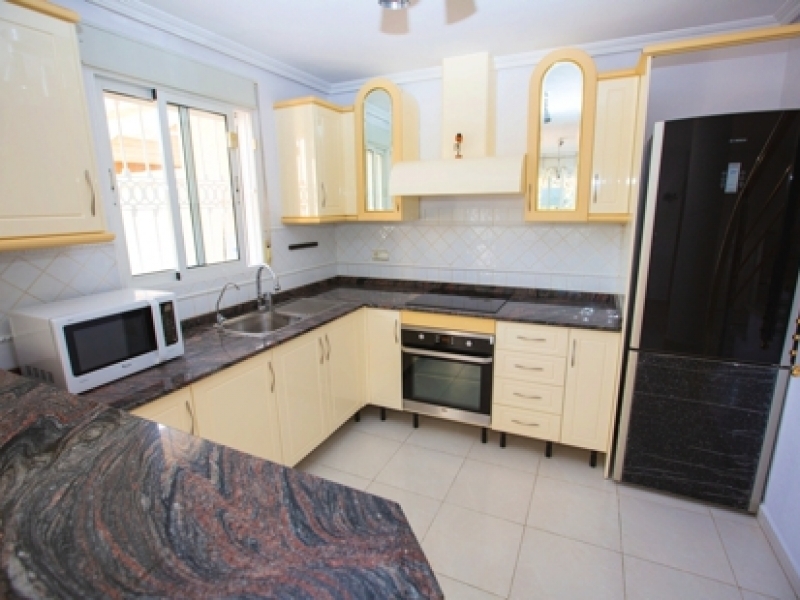 Beautiful three bedroom, two bathroom quad house for sale on popular Miraflores IV community in Playa Flamenca. 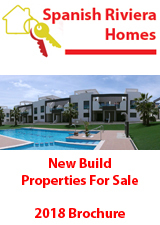 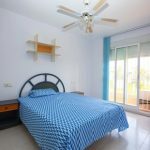 Built in 2003, this West-facing property is on the popular gated community of Miraflores IV in Playa Flamenca. 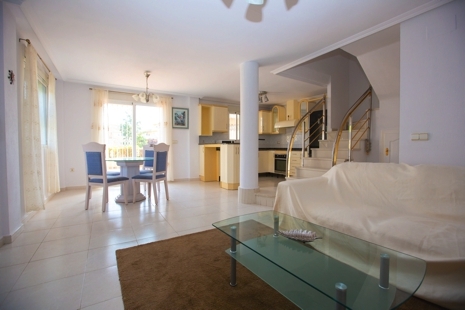 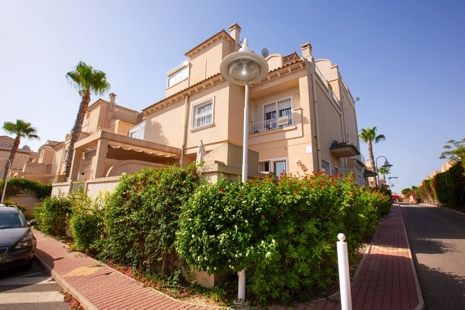 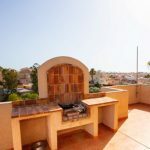 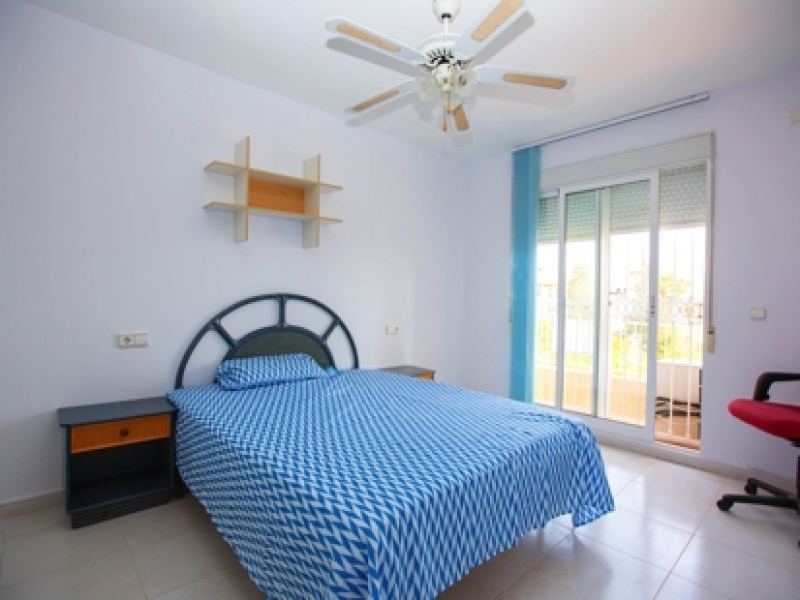 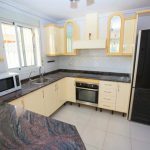 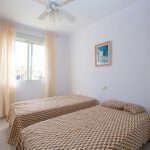 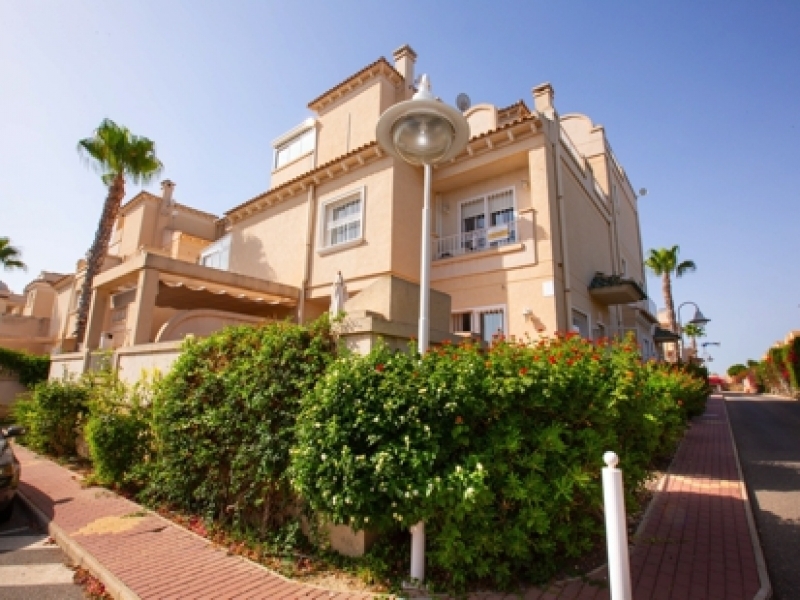 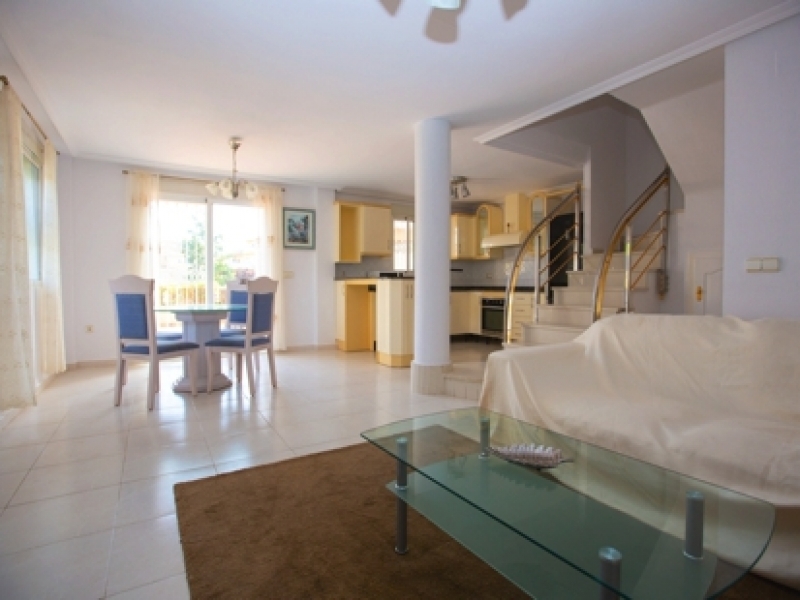 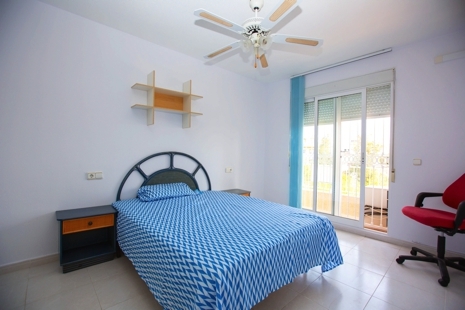 It is sold in excellent condition and is located within walking distance to the beach, the famous Playa Flamenca Saturday market, and the fabuous La Zenia Boulevard Shopping Centre. 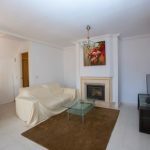 On the ground floor there is a spacious living room with fire place, dining area and open kitchen, guest toilet with shower. 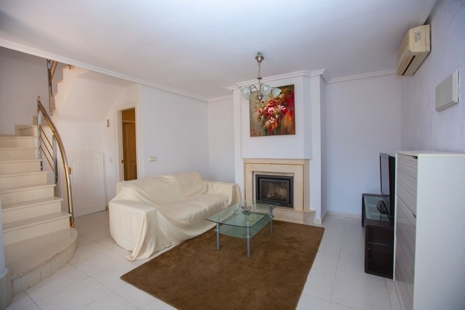 From the living room there is an entrance to spacious patio. 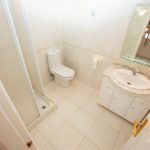 On the first floor there is a main bedroom overlooking the park with walk in closet, two other bedrooms and a second bathroom with bath tub. 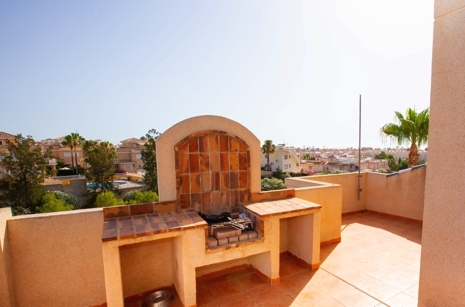 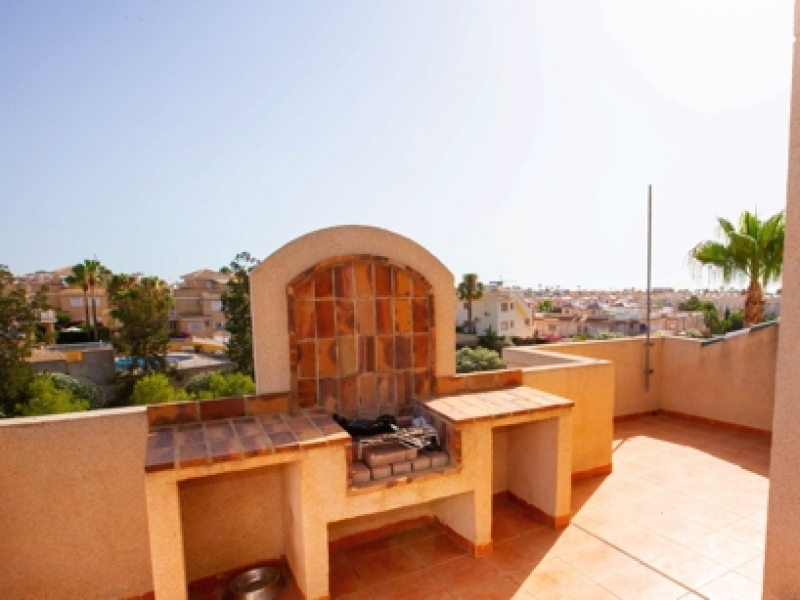 From the first floor there is an entrance to spacious terrace with BBQ. 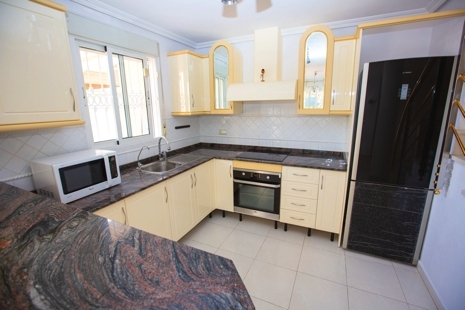 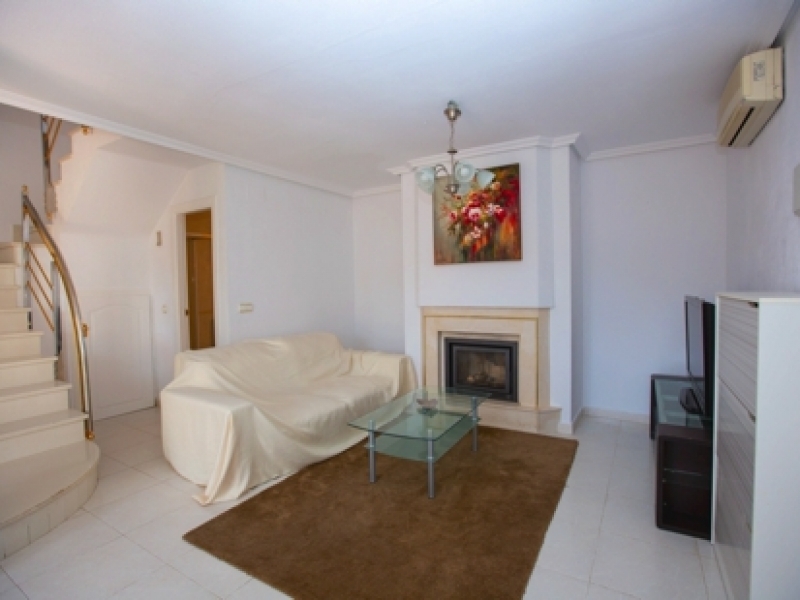 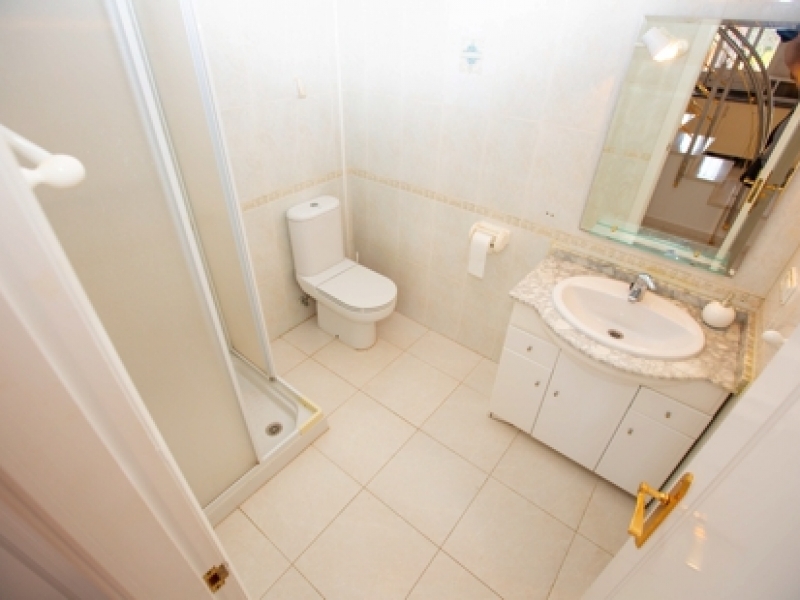 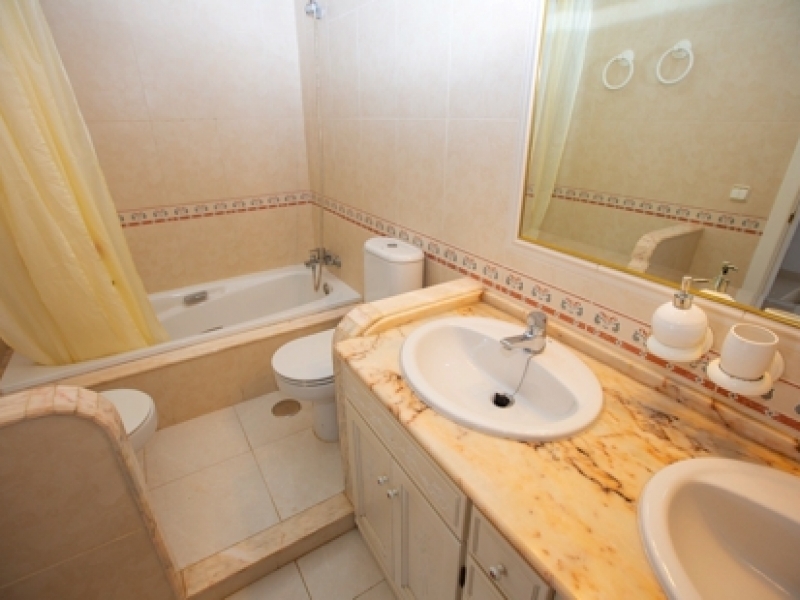 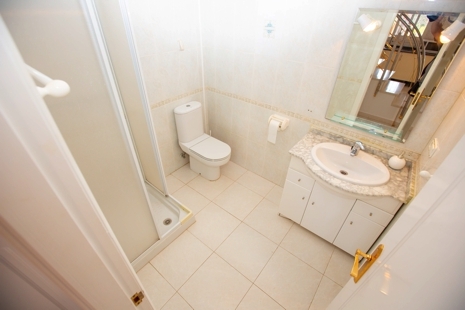 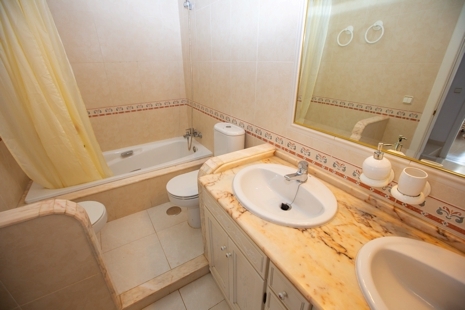 The house is well equipped with air-conditioning and will be sold fully furnished.